Va-va-vroom! The Amazonian princess has been re-imagined as a pin-up girl by artist Ant Lucia. 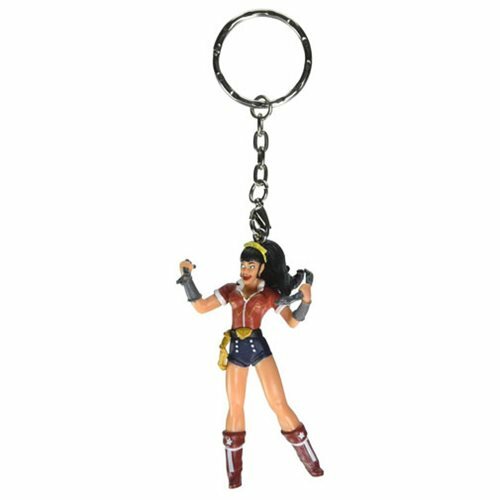 Add the DC Comics Bombshells Wonder Woman Figure Key Chain to your car keys or bag for your next adventure! Item measures about 3-inches tall and is made of quality PVC plastic. Ages 13 and up.